I don’t know about you guys, but I loooove granola, especially when it’s chunky. I love it plain, with milk, or tossed in yogurt, over ice cream. . . .it’s so delicious. I could eat it every single day and never get tired of it. 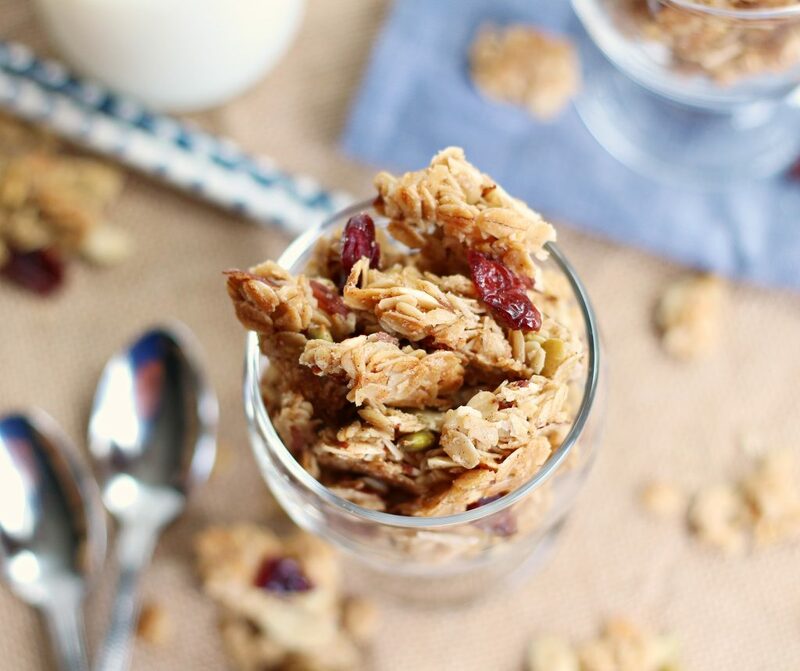 This Almond Granola happens to be a current favorite of mine. I’ve made it twice in the last week and I’m sure I’ll be making it again soon because it’s almost gone. I’ve taken some to my parents twice now and they are in love with it! 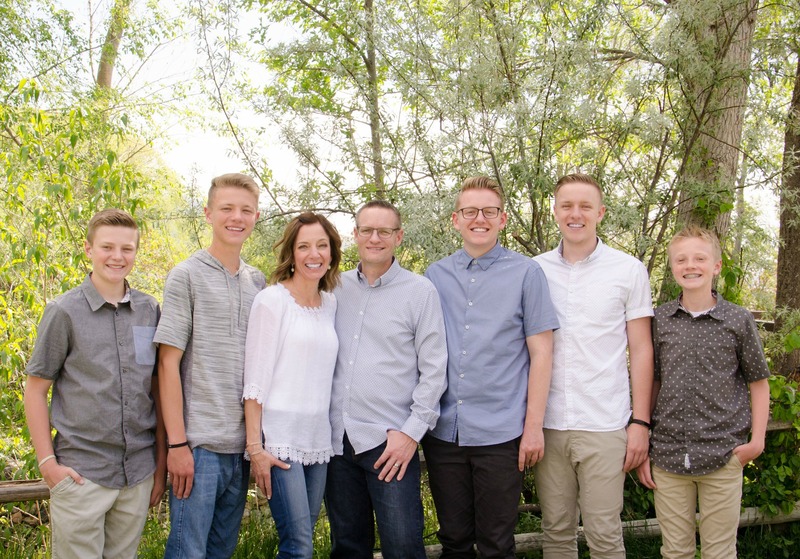 My mom declared it her new favorite granola which is pretty awesome because she’s been making her granola for years that we all love and have dropped a few hints a time two when we want her to make some. This granola is made up of yummy stuff. . . maple syrup, brown sugar, oatmeal, almonds, craisins, etc. Simple ingredients and so simple to make. Just combine mix everything together and then spread it evenly into a lined cookie sheet and then make sure you press it down firmly. Throw it in the oven for 45 minutes and voila, you have some pretty amazing granola. It is really important though that once you take it out of the oven you let it sit for an hour without stirring. Trust me, this will help it keep its “chunky form” and allow you to break it into the size pieces that you like. So if you like your granola in big chunky pieces, then go for it. But if you want it in smaller pieces then go ahead and break away. . . there really is no right or wrong way to break this into pieces. It’s all about personal preference here. By the way, this granola would make a great gift at Christmas for your neighbors. Throw some in a cellophane bag and tie a ribbon around it. . . .who wouldn’t love to get this as a gift?! 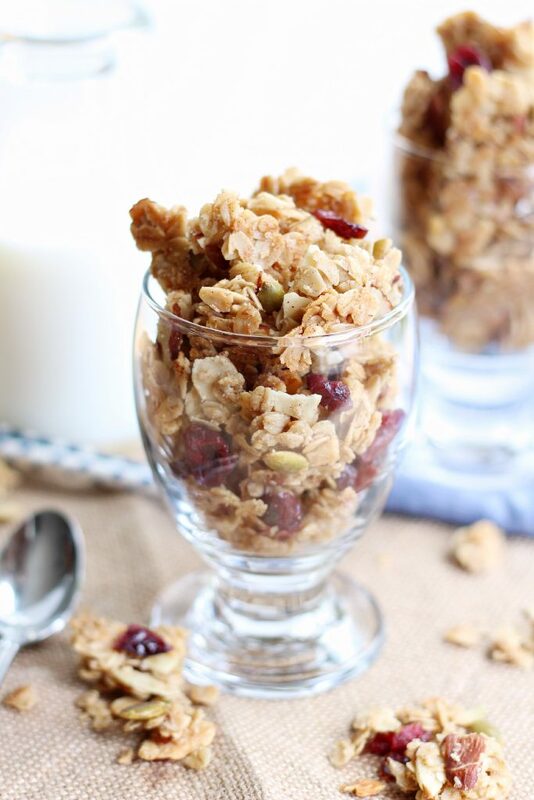 This granola is so delicious! It's not too sweet, crunchy and I love how chunky it is! Whisk maple syrup, sugar, vanilla, cinnamon and salt together in large bowl. Whisk in oil. Fold in oats and almonds and stir until thoroughly coated. Transfer oat mixture to prepared baking sheet and spread across sheet into thin, even layer. Using stiff metal spatula, press down firmly on granola until nice and compact. 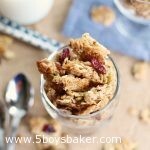 Break cooled granola into pieces of desired size and stir in dried fruit. 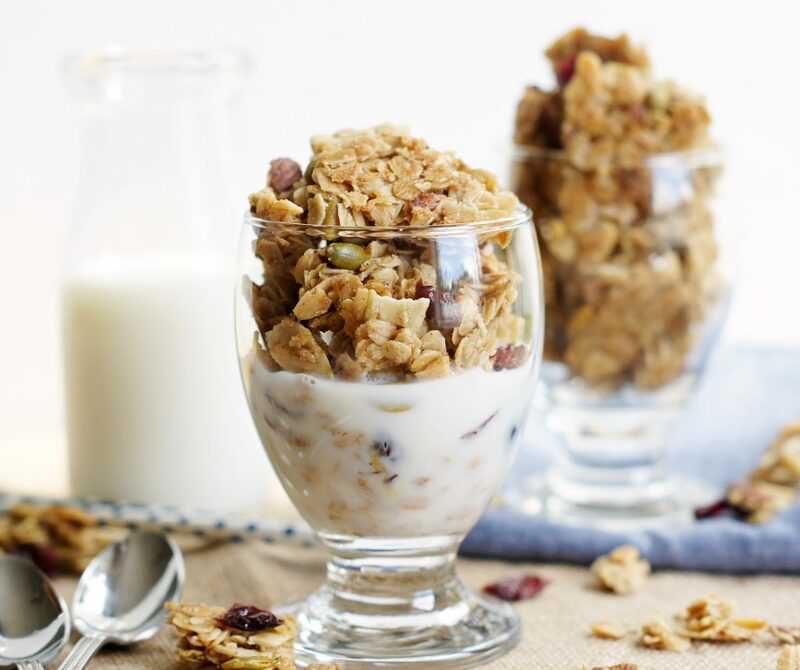 Granola can be stored in airtight container for up to 2 weeks. You can customize this to your liking. In addition to the almonds, I threw in a handful of pepitas. I think coconut and some chocolate chips would also be delicious added to this. You can add your dried fruit into the granola mixture before you bake it, but remember that once it cools, the fruit will be a little tougher and chewier. I've done it both ways and actually preferred the craisins added in after the baking time. Just add the coconut in with the oatmeal and almonds before you spread it into the pan to bake. Let me know if you try it. Thanks! I can’t stop eating this stuff,,,,it is THAT good!!! !